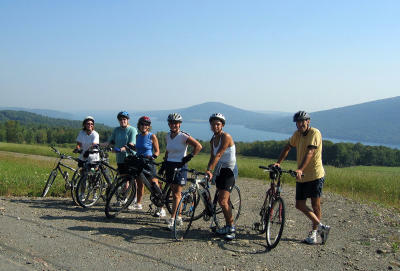 Finger Lakes scenic drives are among the most memorable experiences when touring here. Why? The undulating hills, pristine lakes, and ribbons of well-maintained roads are the perfect package for your Finger Lakes scenic drive, leaf-peeping excursion, romantic getaway, couples day trip, or a family road trip. Picture yourself here! Even National Geographic has this to say about are area: "Like much of central New York, the Finger Lakes region is a pleasing patchwork of rich farmland and small towns, with a mix of handsome 19th-century homes and red-brick downtowns that would have inspired Edward Hopper. Two-lane blacktops follow the lakeshores, sometimes hugging the shorelines, sometimes drifting up into green, pillowy dairy lands. Traffic moves at a slower pace, and you may have to slow down for bikers or a hay wagon." 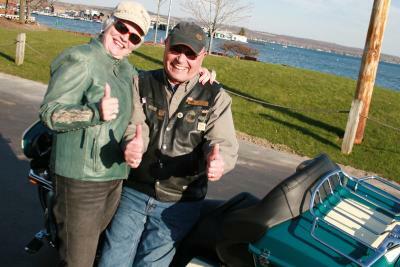 Whether your foray into the Finger Lakes is by car, motorcycle, or bicycle, you are guaranteed big landscape vistas and awesome lake views, as well as lots of Americana along the way. We&apos;ve even nicknamed Routes 5 and 20 "the authentic American Road."